What is the correct input voltage for the 9v Lego train speed regulator? I wanted to buy a transformer for the speed regulator, so based on this image, I bought a transformer with 12V DC output. It works. 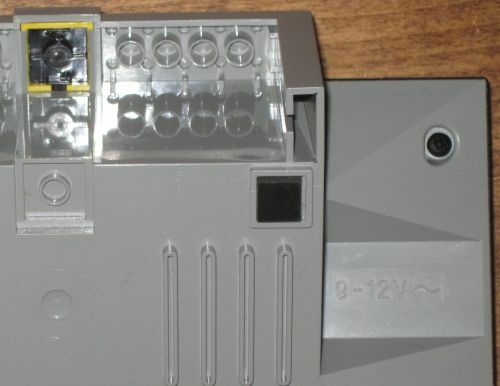 However, discussing this with a fellow AFOL, he pointed out that his (original from LEGO) transformer has a 10V AC output, as seen in this image. So... which one is correct? Or they both work? Or there are different versions of the speed regulator with different input requirements? My speed regulator is clearly labeled as being 9-12V AC. I have an official 12VAC transformer. The circuit begins with 4 diodes in standard bridge rectifier configuration. 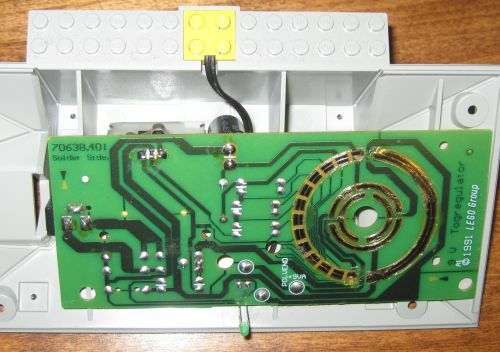 This converts the AC input into a rippled DC voltage. The large capacitor (2200uF, 25V) then cleans up the ripples. There is also an LM317 adjustable voltage regulator configured to output various voltages depending on the dial setting. This means that the input can be 9-12 voltes AC or DC because the rectifier simply passes DC current. Not the answer you're looking for? Browse other questions tagged power-functions electronics 9v or ask your own question. Can 10153 9V train motor be powered by the Power Functions Battery pack? How do you sync the LEGO high speed train remote? 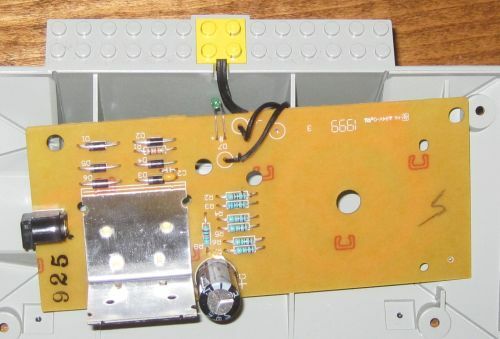 Why are there 4 wires leading to the Power Functions LEGO train motor? How much do the PF XL motors help speed in the 4x4 crawler?